UPDATE 1/2/14 – A body has been found in the Cypress Creek, where police suspected one would be found. The body was taken to the coroner for positive identification. The police have not made a determination at this time of the identity, but the family believe it is her. UPDATE: 1/1/14 – The Harris County Sheriff’s Office says it is focused on a section of the creek where sonar equipment detected what could be a body. Matthew Sowders, Melissa’s estranged husband is said to no longer talking with police and has hired a lawyer. 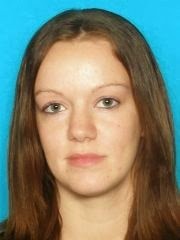 Melissa Rene Sowders, 26, from Houston, Texas was last seen by her boyfriend, Jason Sanford after she dropped him off at work at 6:15 a.m. Thursday. She was to meet her ex-husband at the McDonald’s near FM1960 and I-45 near Kuykendal around 11 a.m., to visit with her two children. It is unclear at this time if she ever arrived or not. Sowders drives a four-door 1995 Honda Accord with Texas plates CL3-H494. The car is white with a black driver’s door. There is a search being conducted on Saturday and will begin at the Daily Bread Church at 106 Breammel-Westfield Rd. You can volunteer for windshield searches by going to the church. If you have any information of her whereabouts, please call the Harris County Sheriff’s Office at 713-967-5810 or leave an anonymous tip here.